The Mother City is filled with amazing hotels and Guesthouses. From high-end 5-star properties to cute intimate Guest Houses, the variety is huge. When it comes to finding the right place for your holiday it’s always important to look at the location that will suit your needs. We have therefore created a list of our 5 favourite Quirky Cape Town Hotels. The legendary, plush, and luxurious Grand Daddy Hotel is situated in the heart of Cape Town, on the popular Long Street. 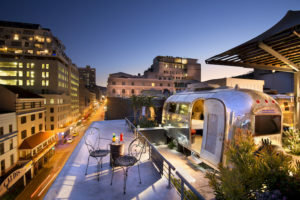 The award-winning hotel showcases the talent, style, and vibrancy of the Mother City. The hotel has 24 Luxury & Superior rooms, as well as 2 suites which are named the Grand Daddy and Sugar Grand Daddy Suites. What makes this hotel truly unique are the seven original Airstream Trailers shipped from the United States and permanently parked on the rooftop that has been conceptualized and designed by local artists. The rooms are all infused with magical and creative touches. The highlight of the hotel is the Grand Daddy Rooftop Bar. The vintage elevator will bring you to the top floor where you can enjoy a refreshing cocktail with the most amazing views of Table Mountain and the vibrant Long Street. The THIRTY ATE at the Grand Daddy offers an extensive menu, a wide variety of breakfast choices and a relaxed atmosphere. Not only is this place popular with hotel guests but also with locals. 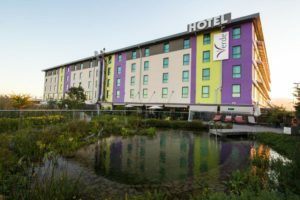 Just 400 meters away from Cape Town International Airport, Africa’s greenest hotel showcases some of the most environmentally conscious technological innovations and operational practices in the world, as well as high tech construction methods. The hotel consists of 145 rooms, conference facilities, a cocktail bar, restaurant, indoor gym, outdoor jogging trail, and an eco-friendly outdoor swimming pool. Luxury combined with extensive green features, just a hop away from the airport. You can find peacefulness and a place to unwind in your room. The décor is simple, clean, and fresh. All the featured products in the room such as shampoo, shower gel and body lotions are of course eco-friendly. A complimentary shuttle service to the airport is included when you stay at The Verde Hotel. This home away from home is truly unique. 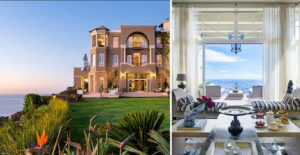 21 Nettleton is a high-end 5-star boutique hotel and is situated in the upmarket suburb of Clifton, in Cape Town. The street Nettleton is known as the most expensive street in South Africa. Nestled against the slopes of Table Mountain’s Lion’s Head, this elegant mansion has a lot to offer. From its serene landscape, attractive décor, private decks, swimming pool, and beautiful lush gardens guests have the opportunity of complete privacy. If you are looking for a “view” there is simply no better choice in Cape Town. In total, the hotel offers 6 suites all facing the sea, except the Lions’ Head Suite. Guests are treated like royals in a setting where elegant European opulence meets African chic. “An African Villa” is located in Tamboerskloof, one of the oldest and most charming neighbourhoods of Cape Town. The narrow streets, lined in Victorian and Edwardian terraced homes are lovely to explore. Just a 10-minute walk to the popular Kloof Street dining strip and a 10-minute walk into the city centre makes it a very attractive place for those looking for a vibey urban experience. The style of the hotel is kept very soothing and traditional. Your hosts, Jimmy, Louise, Cindy, and Keith will ensure guests satisfaction on the highest standards. They will assist you with your restaurant recommendations and will help you create your perfect Cape Town itinerary. The Radisson Red V&A Waterfront just opened doors on the 1st September 2017. 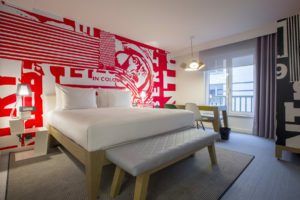 Operated by the Carlson Rezidor Hotel Group, this hotel is set in the heart of one of the most visited tourist attractions, the Victoria & Alfred Waterfront, in the newly developed Silo District home of the Zeitz Museum of Contemporary African Art. The bold and stylish design fits in well with its modern, urban neighbours, while the iconic Table Mountain creates the perfect backdrop. 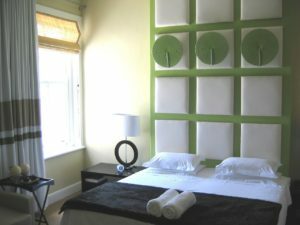 The hotel offers 222 comfortable, well-appointed studios and 30 studio suites. You can relax and enjoy food and drinks at the OUIBar & Ktchn + RED rooftop Bar. Guests can also enjoy a nice swim on a hot summer day on the rooftop swimming pool. Due to its very central location guests have a wide variety of dining options, shopping facilities, museums and the harbour.